Studied flute, harmony and counterpoint at the Barcelona City Conservatory, instrumentation and composition with Gabriel Brncic. 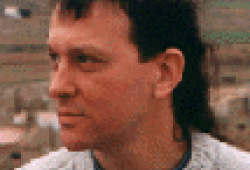 In 1981 he began electroacoustic and computer music studies at the Phonos Electroacoustic Music Studio. 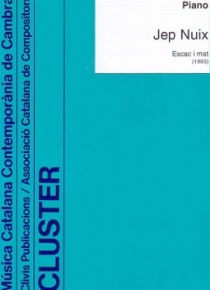 Attended seminars directed by Luigi Nono, Thomas Kessler, Gerald Bennett, Heinz Holliger, Cristóbal Halffter, Tomás Marco, Luis de Pablo, Joan Guinjoan, Witold Lutoslawski. Awarded various prizes for his compositions and has received grants from Spanish Culture Ministry, Spanish Youth Institute, Fundació Phonos and CIRIT . The later allowed him to work at the Basel Consefvatory Electronic Music Studio (Switzerland) as resident composer. He has had works commissioned by several Centers and Foundations for the Contemporary Music (Fundació Caixa de Pensions, Instituto de la Juventud, Centre d’Iniciatives i d’Experimentació per a Joves, Centro para la Difusión de la Música Contemporánea, Centre de Documentació i Difusió de la Música Contemporània, etc. ), International Festivals and specialized players. He was invited to participate in the 33. Ferienkurse für Neue Musik (Darmstadt, Germany). His works, include pieces for solo till symphony orchestra, including electronic pieces, have been internationally performed and included in several recordings in CD with other composers, whilst "Intervals" and "jenji" are his monographic CDs. 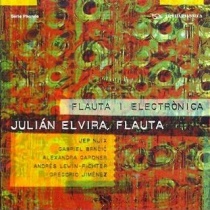 Member of the Grupo del Bierzo and the Asociación de Música Electroacústica de España.